Join us in the tasting room for Wine, Food and Music! 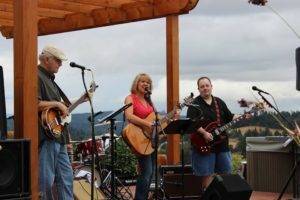 Leanne McClellan Band is back, performing a mix of familiar classic rock, pop, jazz, country, and blues. Bring friends and join us in this beautiful vineyard setting!